Asbestos-cement (AC) pipes were once commonly used for water distribution and sewer systems, especially those in western North America. The hybrid material (often containing around 20 percent asbestos) was valued for its strength and resistance to corrosion, but concerns over asbestos-borne illnesses prompted many municipalities to replace asbestos-containing pipes by in the late 1980s and 1990s. While this material is no longer newly installed for water pipes, some of it still remains in place in water and sewage systems. The material first hit the market in the 1920s, created by Johns-Manville and sold under the brand name “Transite.” Other companies sold similar water pipes under different brand names, but the name transite was broadly used in reference to pipes, boards, and other products containing a combination of concrete and asbestos. One of the largest manufacturers of AC pipes between the 1930 and up through the 1980s was CertainTeed, which continues to be a major player in the construction materials industry. Other AC pipe products include Flintkote Asbestos Cement Pipe, GAF Ruberoid Eternit Pressure Pipe, and Keene Ehret Durant Insulated Pipe. By the 1950s, the use of AC pipes in municipal water systems had become standard. But since most of these were installed between the 1960s and 1980s – and they have a lifespan of roughly 60 years – those that remain are deteriorating and in need of replacement. One of the main concerns about the use of the known carcinogen asbestos in water pipes is exposure to fibers that have come loose from the pipes. When these fibers are swallowed or otherwise ingested, many scientists believe they can cause a rare but serious disease called peritoneal mesothelioma. This particularly aggressive form of cancer affects the peritoneum, a thin lining surrounding the abdomen, and accounts for less than 20 percent of mesothelioma diagnoses. While ingesting asbestos is believed to carry unnecessary hazards, it is well-established that breathing in airborne asbestos is the primary way in which all forms of mesothelioma are caused. The Environmental Protection Agency (EPA) states that AC pipes are a leading source of asbestos contamination in drinking water, although cases of mesothelioma caused by contaminated drinking would be challenging to prove, given the asbestos exposures that many people have sustained through airborne exposures. Workers who manufactured, cut, and fabricated the pipes were among the most vulnerable to mesothelioma and other asbestos-related health risks, specifically when the fibers were released into the air and inhaled or carried home on clothing and inhaled by family members or other third parties. The dangerous cutting of asbestos-containing pipe occurred most often with the use of power saws (gas-powered or electric) and some times with the use of manual saws. It should be stressed that anyone working in a facility where AC materials were being produced or cut – from the workers handling the materials to the managers sitting at desks – may have been exposed, since the tiny fibers can become suspended in the air. Additionally, workers who cut, install, and provide maintenance to the manufactured pipes also were (and still are) prone to exposure. However, workers who handle AC pipe these days are supposed to be supplied with protective gear and follow safety guidelines that weren’t in place when the material first went into use. Much of the risk from AC pipes today is from the cleanup and removal of these substances, which can make the fibers “friable,” or in a form where they can be inhaled through the release of airborne asbestos fiber. The performance of asbestos abatement work is now heavily regulated by federal and state laws, with safety requirements pertaining to its exposure, removal, and disposal. However, there have been many instances where companies failed to follow these guidelines, resulting in worker exposure and subsequent (but often delayed) onset of illness many years later. The experienced lawyers from MesoLawyersCare have recovered over $10 billion dollars for people diagnosed with mesothelioma. Our attorneys have successfully represented many people suffering from mesothelioma as the result of exposure to asbestos from AC pipe. For more information or a free consultation, fill out the form on this page, have a live chat now with one of our representative, or call us now. The highest award of compensatory damages ever upheld on appeal in a mesothelioma case is $30.3 million. The largest punitive damages verdict ever upheld on appeal in a mesothelioma case is $18 million. There are over $30 billion in asbestos trust funds to compensate victims of mesothelioma and other asbestos-related diseases. There are more than 50 bankruptcy trusts accepting claims to compensate victims of mesothelioma and other asbestos-related diseases. There are many “asbestos dockets” that permit living mesothelioma patients to obtain a jury verdict in less than 1 year. In 2015, more than 2000 mesothelioma cases were filed in the United States. 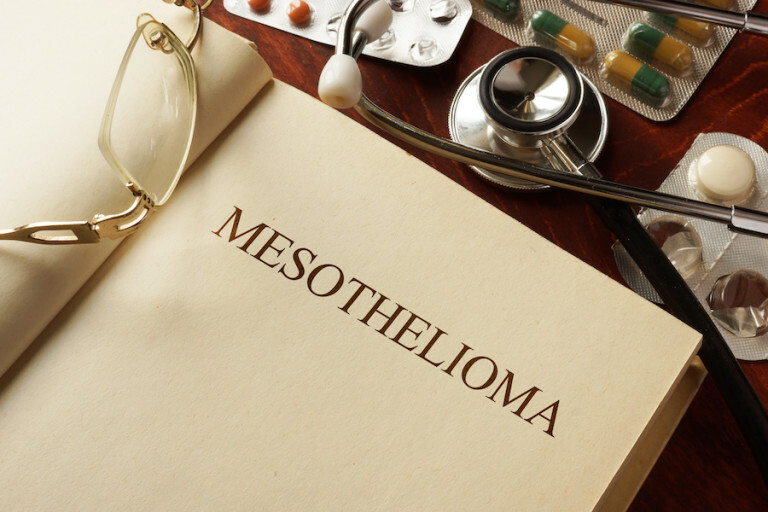 In some mesothelioma cases, settlements can be obtained in less than 1 year. Thousands of different companies have been defendants in mesothelioma cases over the past 40 years. According to a 2015 study of 77 peritoneal mesothelioma cases, the average life expectancy (median survival period) was 75.7 months, or over 6 years. According to a 2015 study of 77 peritoneal mesothelioma patients, 73.8% were living after 3 years, and 65.3% were living after 5 years. According to a 2015 study of 77 peritoneal mesothelioma patients, 64% were treated with HIPEC and cytoreductive surgery. According to a 2015 study of 303 pleural mesothelioma patients, the average life expectancy (median survival period) was 18.4 months. According to a 2015 study of pleural mesothelioma patients, 73.1% were still living after 1 year, and 22.9% were still living after 3 years. In 2015, the largest number of mesothelioma cases were filed in the following 10 courts: (1) Madison County, IL; (2) Cook County, IL; (3) St. Louis, MO; (4) Los Angeles, CA; (5) New York, NY; (6) Philadelphia, PA; (7) New Castle County, DE; (8) Middlesex County, MA; (9)Middlesex County, NJ; (10) Kanawha County, WV. The states with the largest number of diagnosed mesothelioma cases are: New York, New Jersey, California, Washington, Pennsylvania, Massachusetts, Virginia, Florida, Texas, Illinois, Wisconsin, Michigan and Ohio. There are about 3000 mesothelioma cases diagnosed in the United States each year. About 1 in 100,000 people in the United States will be diagnosed with mesothelioma each year in the United States. More than 80% of all mesothelioma cases occur in the pleura (pleural mesothelioma). Less than 20% of all mesothelioma cases occur in the peritoneum (peritoneal mesothelioma). About 22% of all mesothelioma cases occur in women. A history of asbestos exposure can be found in more than 80% of mesothelioma cases. More than 30% of all mesothelioma patients in the United States were exposed to asbestos in the military. Mesothelioma can be caused by laundering, or other household contact with, work clothing contaminated with asbestos. Mesothelioma can be caused by work with (direct exposure) or around (bystander exposure) asbestos-containing products. The average time between a person’s first exposure to asbestos and the development of mesothelioma (latency period) is more than 40 years. Learn more about these experienced mesothelioma nurses by watching the video below. Click here to contact a mesothelioma nurse now. Watch the video below to learn why MesoLawyersCare is the best choice to represent you and your family after a mesothelioma diagnosis. If you or a loved one has been diagnosed with mesothelioma, please contact us to see if we can help you get the compensation you deserve from the billions of dollars in asbestos trust funds available now for qualified asbestos victims. With just one call, you can put all our experience and success to work for you. We have represented thousands of victims of mesothelioma and their families in virtually every State in the country and in decades of work have recovered billions of dollars in financial compensation for our clients. Call us now at 1-888-568-1177, fill out the form on this page or chat with a live person. The consultation is free and it costs nothing upfront to hire the lawyers behind MesoLawyersCare. We only get paid if you collect a settlement or verdict and you will never receive a bill from us. The call and consultation are free.